labs: MayaMaya. . . | andrewANDORU. . . NOTE: The version available here is for Maya 2009 as it is the version I use, if you would like to use this for 8.5, 2008, 2010 it is a very simple process of opening the app with “Applescript Editor” which you should have in your “Applications” or “Utilities” directories, and changing 2009 to the appropriate version. Hey Andrew your MayaMaya script is something that will help many people. I personally use pc almost exclusively but I know of other people who are on macs and will be very interested in this. I’ll be sure to share this link with them. Thanks for putting together so many fantastic tutorials. No problem. Glad they are useful to people! I don’t have a non-intel machine to test it on unfortunately so I am not sure if I will be able to help out much, it is possible this will only work under 10.5+ machines. 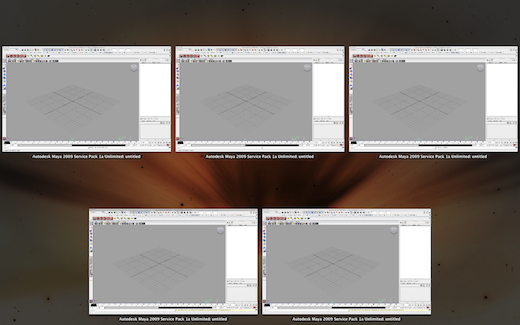 Went ahead and updated with versions for Maya 2010 and 2011, enjoy. thanks a lot for all,,, maya to maya is great, renderQ is awsome. 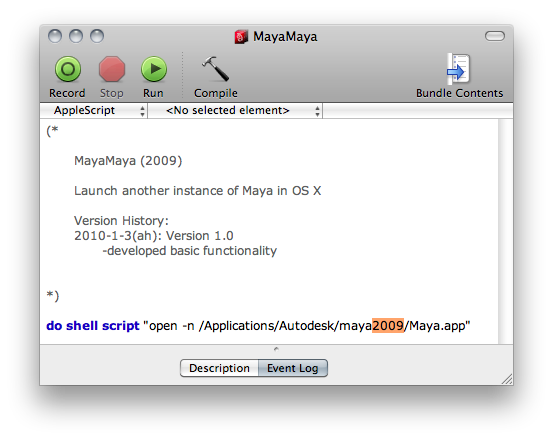 Does the MayaMaya also work for 2013 version?